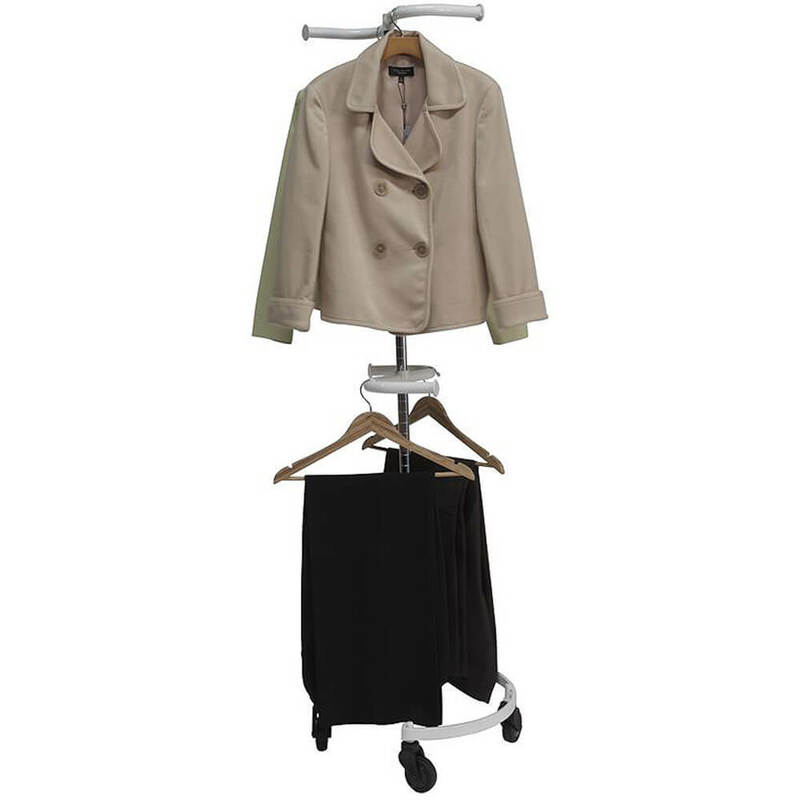 This is an ideal clothes rack that is perfect for hanging clothes where space is a premium whether it be in the kitchen, an office, or at home. 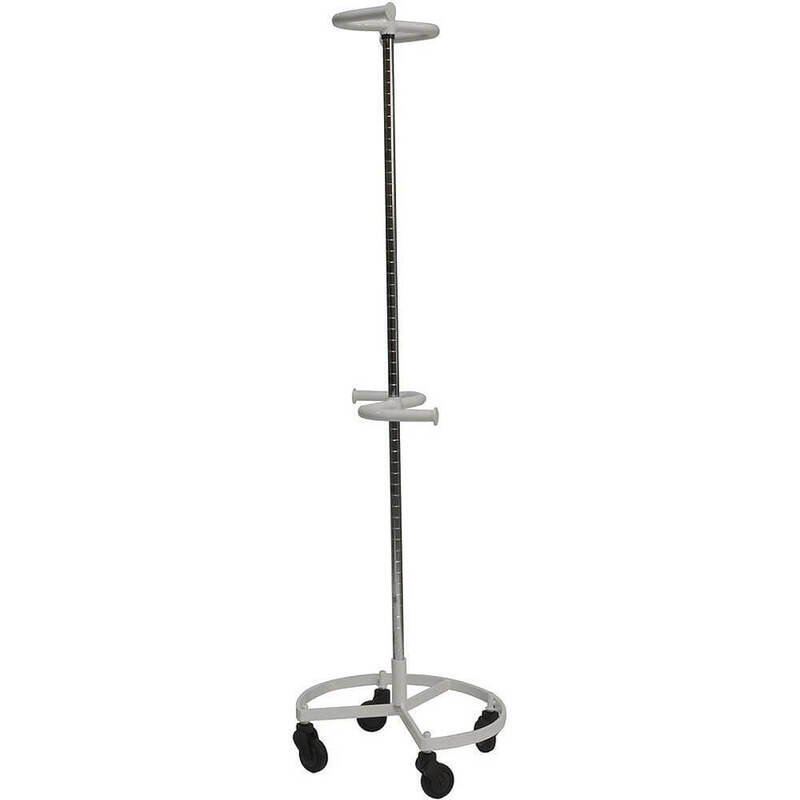 Dimensions: 19"W x 63"H Patented product Double S-Hook Hang Rail Height: Adjustable Casters Height: 3" Made in the USA. 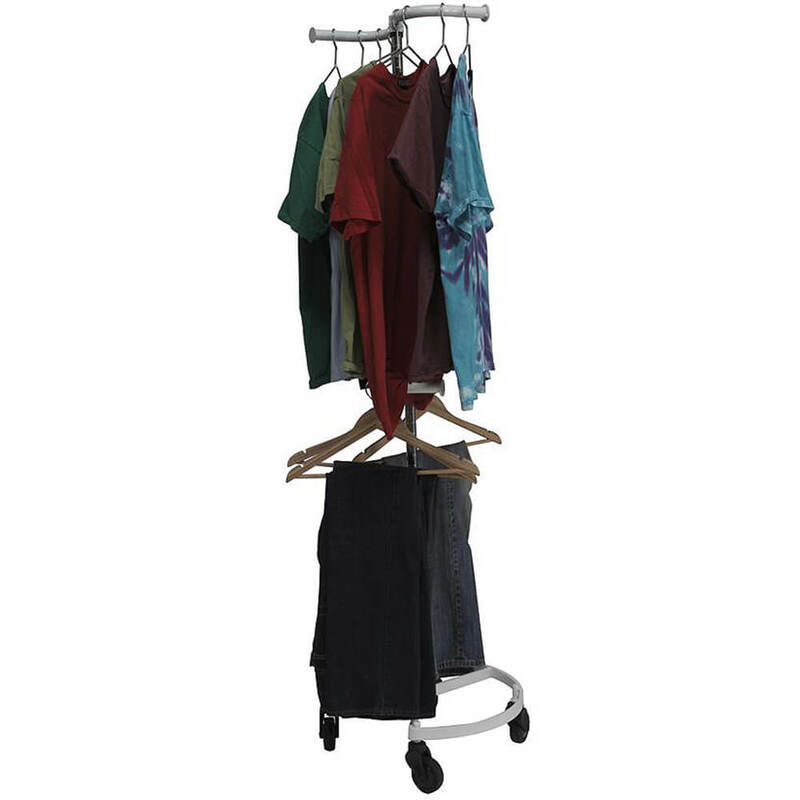 The Personal Valet Clothes Rack is a patented, height adjustable rack that can hold up to 50 garments, 300 lbs.